Now that a certain idiot has stopped spamming me with ‘do this!’ requests at every opportunity I’m taking the time to write a piece on some of the remaining tasks that lie ahead of Mamedev just to show that there still are a number of interesting things we still need to discover and figure out properly! It’s no surprise to see progress winding down, the last 3 u updates have shown a significant slowing of new discoveries, and the busy period before that was more like an anomaly than any sign things are shifting back up a gear. Even MESS has been relatively quiet in the past month or two, so like with my 2012 writeup I’m going to focus on elements of both projects here. This is also a live article, I’ll be adding notes to it over time, and the content is in no particular order, I’d appreciate people not linking to this until it’s more complete than it is now. 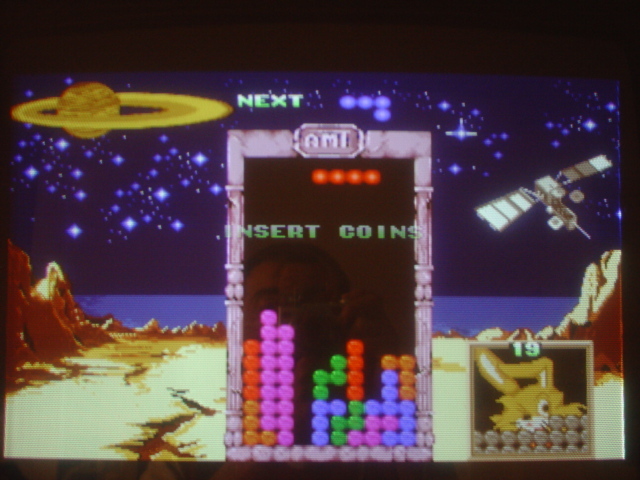 These run on cloned Sega System 16 hardware, without any sprites, basically Tetris style hardware. We’ve seen other Korean titles like Atomic Point and Snapper on similar cloned boards but these two AMT titles have another problem in the form of protection. I’m not actually sure what the protection involves, it could just be some convolute ROM/RAM mirrors with scrambled access, or something more complex, either way they don’t do much at the moment. 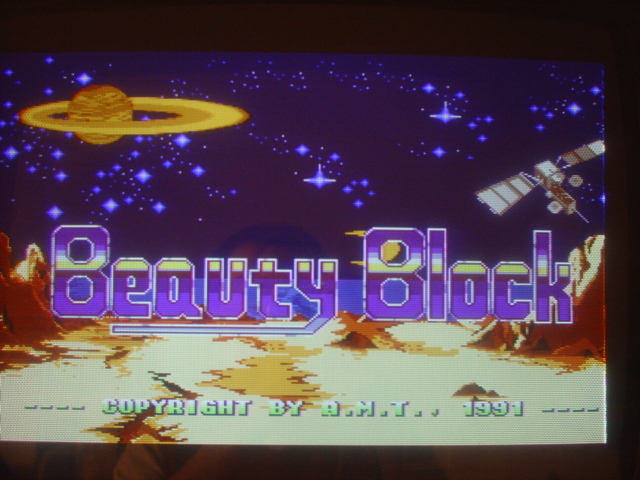 Beauty Block currently cycles through some random undressed women, IQ Pipe does nothing at all. Emulating them might just be a case of getting a good understanding of the 68000 code, it depends how nasty the protection actually is. These GX titles present a unique challenge. Due to the flexible nature of the GX System games could add their own video chips, and for these two Konami pulled out something incredibly unconventional. The games rely on a special video chip performing post-process graphic operations on the output of a regular ROZ to give individual areas of the floor height elevation effects, thus creating pseudo 3d graphics when otherwise it would only be possible to do basic hills / corner as seen in almost every other racing game. The nature of this chip isn’t understood properly, nor how the ROZ plane mixes with the rest of the Konami video output. This will be a challenging driver to work on both in terms of understanding the feature properly and getting a desirable level of performance; it’s already slow without the effect implemented although there is almost certainly room for optimization in the existing code. 6 rather nice videos, which must be taken from real hardware were uploaded to YouTube last year. Note, the crowd and many out the roadside boundaries are completely FLAT in the basic tilemaps and have their pixels stretched vertically by this post-process effect, it actually looks a little ugly at times (especially entering tunnels) but was certainly unique, I’m not aware of any other hardware, arcade or home that had a chip dedicated to doing this. The Nuon was a gaming technology built into a number of DVD players, there was an experimental emulator released around 10 years ago called Nuance, but the author is unfortunately no longer with us. Jaleco’s Megasystem 32 hardware is annoying enough without any expansions, and it’s fair to say it still isn’t fully emulated because many games still have noticeable glitches. F1 Super Battle is however twice as annoying due to a number of factors. Secondly there is no useful information about the game anywhere, outside of MAME it may as well have not existed, no PCB pictures, no YouTube videos, you’d be lucky to find even a screenshot. Having reference material can be very helpful and for this game we have precisely none. *edit* There is at least a flyer, as mentioned in the comments, but all it gives are some low resolution screenshots that may also be doctored for the flyer. If anybody fancies reverse engineering the behavior from the code (bearing in mind that it uses the obscure V70 processor) then that might be our only hope of seeing this one running properly, because guesswork based on behavior just doesn’t seem like it’s going to cut it. With the recent progress shown on the Playstation emulation I’m cautiously optimistic about this one, although so far none of the changes made to the Playstation emulation have actually shown any sign of improving the emulation here, suggesting it could possibly be a problem with how some of the game specific devices are hooked up, or some crude form of protection. Apparently the game specifies invalid destinations for some transfer operations, and takes out key code in the process, although I haven’t verified that myself. There are plenty of videos of this game about, which according to the original developers was actually complete at the point it was shelved. I guess we’ll have to see if anything comes of the emulation of this one over the new few months. 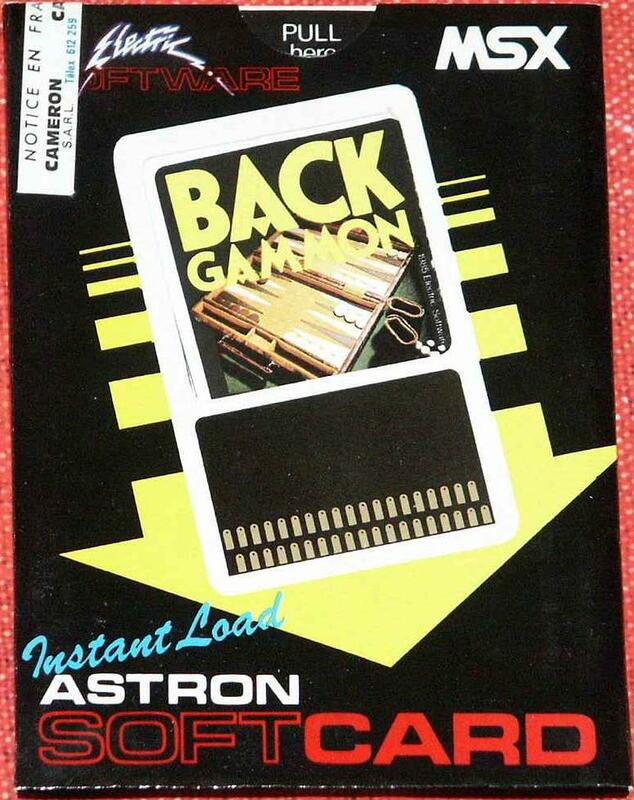 You would be forgiven for thinking this one had been forgotten altogether, but the reality is this Atari classic sits as one of the most protected games they produced, and thus emulation of it remains difficult. 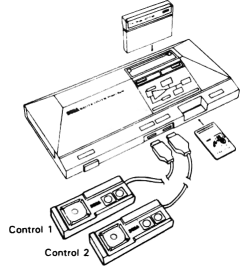 The protection involves various bits of data being passed to a device and decrypted, that might not sound significant compared to many other games which have been emulated, but the device is used frequently and isn’t really understood at all. Some studying of it was done by various members of Mamedev, but it remains undefeated. don’t want to upset LM, but what skills are required for Votrax SC-01 emulation? NBA Jam Extreme has never worked, from The Impact / Zinc time to now. Though I see it’s in Phil Bennett todo list, so maybe in the future..
Just love these write ups. Can not say i totally understand everything you describe, but the dedication you ( devs) all show is amazing. I have a spare Casio Loopy and I’m in the UK, I did sent one to the guru w/ carts, which is where the internal printer ROM and cart dumps are from. Hit me up and its yours. I’m hungover and typo’d my email address too. I have a spare Casio Loopy, I’m in the UK too, looks like the previous comment makes no sense as it was deleted for containing the R-O-M word. Hit me up and it’s yours. Two copies of Anime Land (XK-401) and one of Wanwan Aijou Monogatari (XK-501). These are the duplicates, the rest I had sent to the guru with a loopy console, which is where we got the current dumps from. He still has those dumped carts and a loopy as I didn’t need them back. I do have a programmer but no adapters for any flash chips, I’m also not confident in my soldering skills in modding it. If you are willing, you can have this junk and hack away at it, I only collect this crap for dumping. Wanwan Aijou Monogatari does have speech bubbles so that may just work. I have no electronics skills at all, so would be able to do even less with the hardware than you. I wonder why Guru didn’t reply about the loopy when I asked directly on the list a few months back then, I practically shelved all work I was planning on it at that point because it seemed nobody had one. He was pretty annoyed at me for creating the undumped wiki, so he may have thrown it in the trash. All these were donated to him so I never needed them back, so there is no bad blood on my part as they were his to throw away if he wanted, although they could just be in storage and forgotten about, he does have a lot of stuff. sure this isn’t just the old set from MAME? WHAT? The Hyper NeoGeo 64 expects the RAM tests to FAIL?? I… I have no comment. I’ll just leave it at that. Not in a visible way (ie there are no message to tell you it fails on said test) but it becomes obvious if you’re following the code / accesses made. 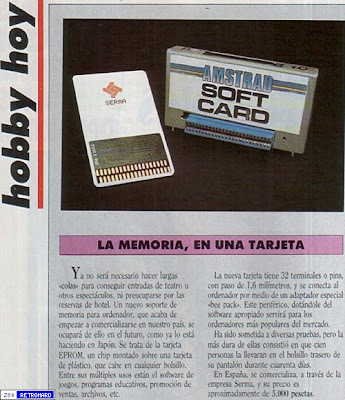 TBH the memory tests on something like MegaSystem 32 are worse, the actual RAM tests on those tell you almost nothing because I don’t think there is a single game that actually checks the correct regions, most of the tests overrun into other areas, rely on mirrors, or only test a fraction of the actual RAM. Memory fail interesting hardware protection. Weak sauce but still effective. Think about it, if you have a cart people can copy easily. But maybe the 32k chips are slightly more expensive than the 64k chips (happens from time to time). 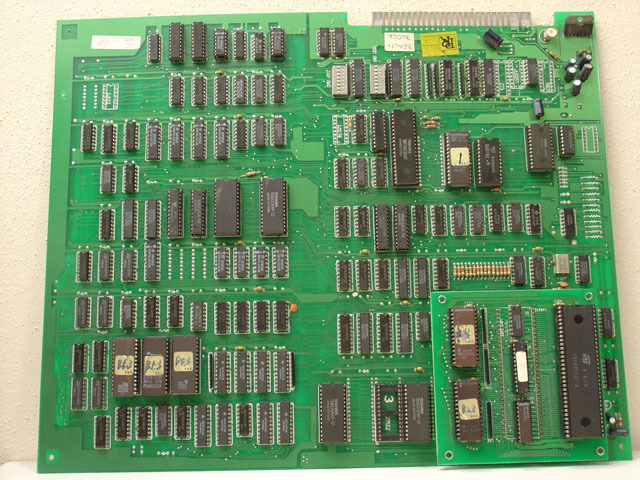 So the ‘pirate’ would buy the 64k chips and just drop the 32k worth of code onto it… For software it is easy for you to just make it fail. But you have to know what size chips there were to make it act correctly. Then if they throw mirrors in there it could look like bigger than it is. To understand it you probably would need to know the spot prices on the chips at the time. Correct, this isn’t meant to be a list of ALL things unemulated, it’s a list of ones I find interesting with a bit of background information where possible. I would really love for there to be some effort put into Gamate emulation. Most of the 1990-1992 Bit Corporation titles leave much to be desired, but the later 1993-1995 games from the UMC era are often quite enjoyable and deserve to be both preserved & played. I’ve split this up into multiple pages, the embedded YouTube things don’t half lag Firefox when loading the page otherwise! Looks a lot like hu-cards. 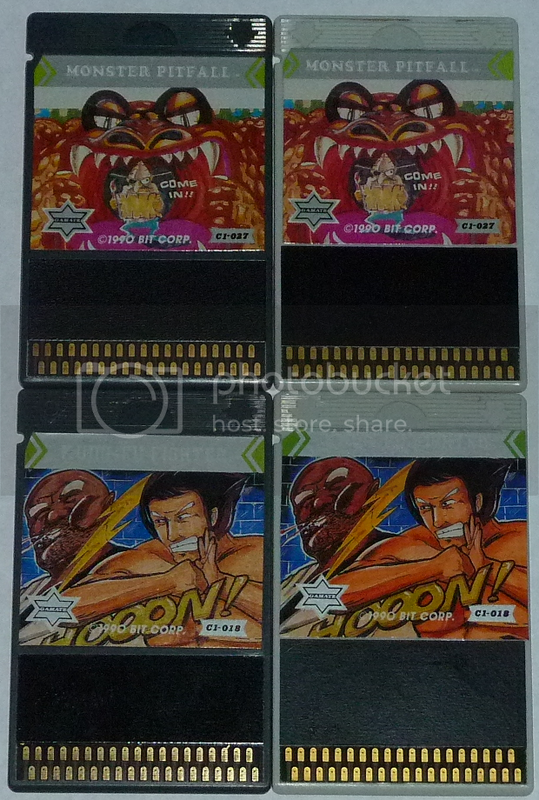 so yeah blob logic in the carts.. somebody will have to trace the lines to the CPU I guess..
I’m pretty sure my fellow digital coprolite collector ranger_lennier has a few gamate cards. 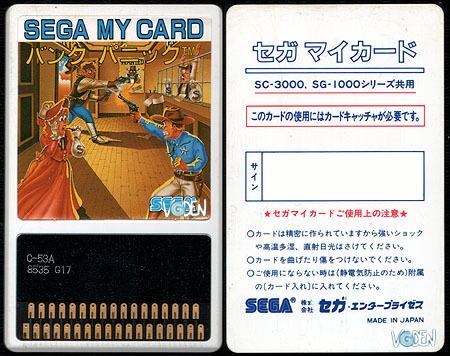 The Gamate uses standard 38-pin “Soft Cards”. 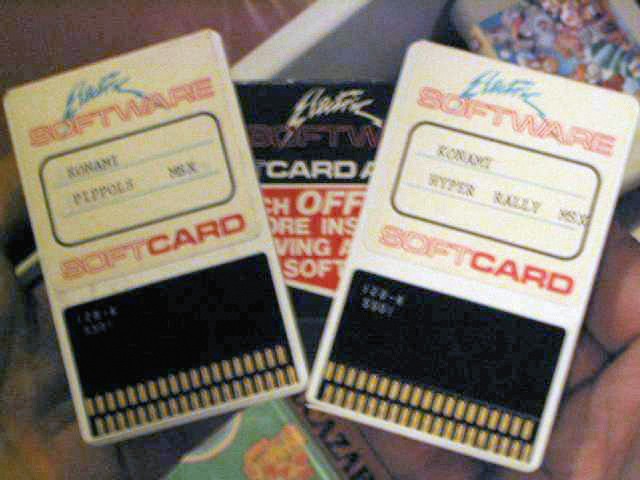 SoftCard adaptors were available for the MSX, Commodore, Amstrad & quite possibly a few other computers. Have any soft card games been dumped yet? they do LOOK the same, I’ll give you that (the article incog linked even mentioned this) so it would be one avenue to explore. I don’t know if soft cards for any of the other systems have been dumped mind you. I wasn’t familiar with them for all these systems until you posted about them. I’ve been told before that the Master Systems Soft Cards are dumped, the MESS driver however just has a single cart slot and is missing the Soft Card slot. Hi Master Haze! I think that you have forgotten to include Konami M2 miss developments. Reading through this and I kind of regret getting rid of this one piece of cheap tech: a green mobile phone-looking device that had Snake and a few other games on it, with real basic music. No idea what it was, probably a cheap Chinese thing, but one of the devices you listed reminded me of it. I wish you the greatest of success, much more so with the NeoGeo games. My greatest wish would be to see Cool Riders 100% finished! There are a number of ‘missing’ Jaleco games from that era too, Super Strong Warriors is mentioned often, but we’ve never seen a trace of it beyond screenshots / flyers.